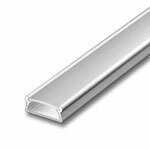 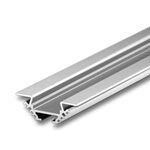 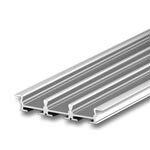 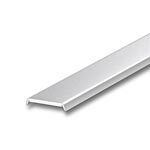 Our KL2 type of Aluminum Channels from KLUS Design have a 0.51" inch mounting base and can be used with any 8mm, 10mm, or 12mm LED Strip lights. 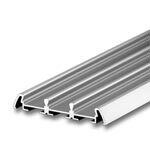 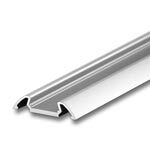 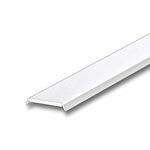 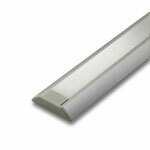 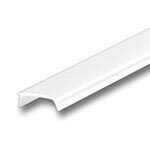 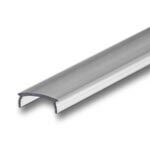 These profiles will fit most single color, RGB color changing and wider RGBW strips that are typically 12mm wide. 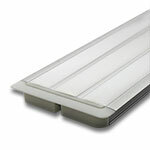 Different clear and frosted plastic cover options protect your LED strip from dust and moisture while providing a finished look for your lighting fixture. 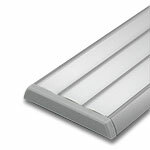 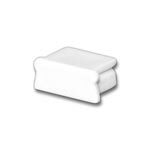 Choose from both indoor and outdoor rated covers, which can be used to create an IP67 waterproof rating with proper sealing techniques. 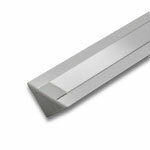 Plastic end caps are available to finish the look of the channel and wires can be run on the backside of the channel grooves for a seamless look.